Freespace 2 Download: Finally, Freespace 2 Available Again! As one of the last and almost certainly greatest greatest space flight simulation games released before the genre’s relative demise by the end of the 1990’s, Freespace 2 discs are effectively a collectors item that sell for upwards of a hundred dollars. With Volition and Interplay receding into obscurity over the past decade, Freespace 2 discs have not been produced for quite some time. Coupled with the deterioration of cds and loss rates due to accidents, gamers hoping to play Freespace 2 have had limited options for a long time. However, Freespace 2 download availability is on the increase of late. Good Old Games – purveyor of such classics as Total Annihilation and Fallout 2 – now sells a DRM free, downloadable copy of Freespace 2 on its website. The release of the Freespace 2 source code several years ago means that modders have been hard at work creating variants. Whether you get a Freespace 2 download, grab some of the products of the open source project, or spend the cash to acquire Freespace 2 discs, be prepared for an immersive and enjoyable gaming experience. GoG.com is an excellent resource for purchasing games that have long since gone out of production, leaving retro gamers and afficionadoes of classic pc games high and dry for far too long. 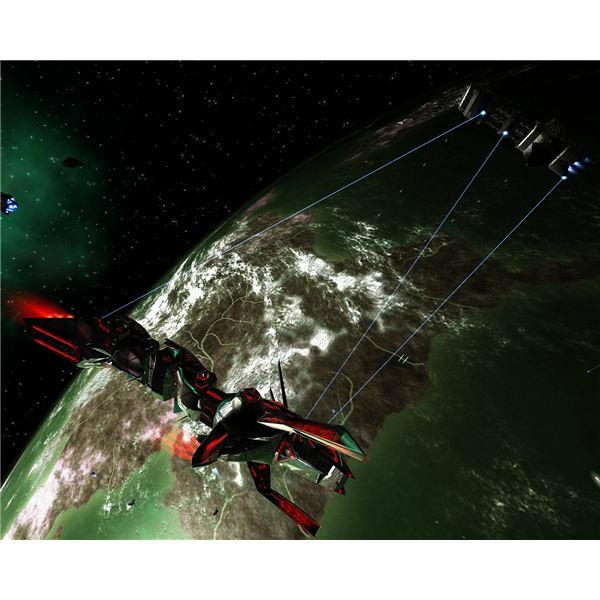 The recent addition of Freespace 2 to their download catalog has been acclaimed by devotees of Freespace 2. Download the game from this innovative site and you get quite a decent package. The game download itself is DRM free – which means that you can reinstall, re-download and otherwise duplicate your copy of the game to your hearts content. Some other goodies also come with a Freespace 2 download here – a digital copy of the game manual, a reference card, and the game’s quite enjoyable soundtrackl. In addition, this download includes a priceless component of Freespace 2’s longevity – the FRED2 Freespace mission editor. 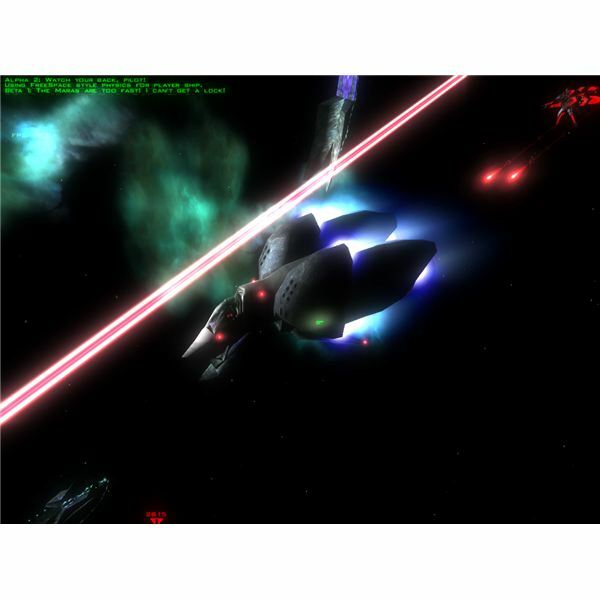 The original single player campaign in Freespace 2 is lengthy and at times rather difficult, especially if the enemy AI is ramped up and you seek to complete every achievable secondary objective in the game. The Hammer of Light secondary campaign adds to the mission tally. But after a time, the single player campaigns alone can start to seem too familiar, and not every player wishes to pursue one of the total conversion options available on the internet. Enter FRED2. Freespace 2 download options generally include this mission editor, which gives the gamer near complete control over the Freespace 2 universe. With the inclusion of this editor, user generated campaigns can string mission after mission together, letting the player go through limitless scenarios and combat challenges. If you think you’re a top notch pilot, you can create a campaign designed to test your skill. If you simply love bombing capital ships into submission you can create campaigns suited for your taste. Even better, the unending advancements in computing technology mean that many, many more ships and effects can be supported by most modern systems than was feasible in the late 1990’s. Where the original campaign designers had to be careful not to overwhelm the average pc of the time, now throwing half a dozen Shivan destroyers against a GTVA task force is unlikely to put a dent in most computer’s processing capabilities, which again increases the potential campaign options provided by a Freespace 2 download. 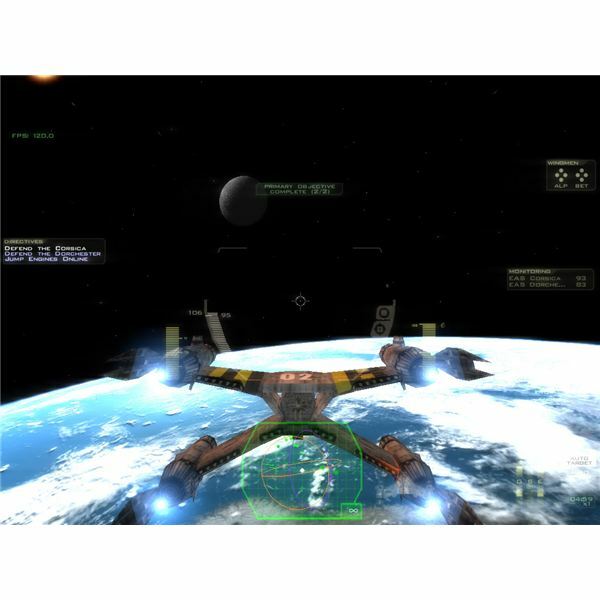 As a classic game on the level of Homeworld, Freespace 2 is one of those titles that stays alive through the dedicated involvement of a few hobbyists with access to technology and the game’s source code. The Freespace 2 open source effort stemmed from the release of the Freespace 2 source code back in the early 2000s. The intent has been to update the game’s graphics and compatibility with modern systems while keeping the essential core of Freespace 2 – its excellent gameplay and immersive universe – intact. Freespace 2 open source projects are accompanied by a string of user generated campaigns and graphical total conversions that take the powerful Freespace 2 engine and play balance and apply this core to other science fiction universes like Babylon 5, Wing Commander, and Battlestar Galactica. Although Freespace 2 is quite a well balanced title, it does have its limitations and its graphics are clearly outdated now that over ten years have passed since its release. Freespace 2 open source code work typically involves a few dedicated gamers and other tech savvy types working to get the graphics up to speed with modern standards, which increases Freespace 2’s essential appeal while only altering the feel of the game in a minimal manner. The success of the graphics updates is clear from the screenshots available over at the Freespace 2 Source Code Project website. Although Freespace 2 was quite a graphically pleasing game in its time, there are moments where clunky, blocky 3D shapes distract from the gameplay, and the textures of many of the larger vessels in the game appear to lack depth. While this is a result of the limitations of computer systems in the 1990’s, the past ten years have allowed the members of the Freespace 2 open source community to improve the textures, color contrasts, and overall appearance of the game. Gameplay tweaks are naturally more controversial and thus less obvious, but AI improvements and fixing certain illogical weaknesses in some of the capital ships appear to be the focus of Freespace 2 open source efforts. Any game will have its weaknesses, but in a space flight sim like Freespace 2 the ability to park in a capital ships’ blind spot and laser it to death with a fighter can detract from the gameplay. Fixing these types of gameplay exploits does little to damage the integrity of the game and often make for a better experience. The beauty of Freespace 2’s flexibility and balance means that it is an ideal platform upon which the features of other science fiction genres can be projected. Because of this, Freespace 2 open source projects have resulted in the creation of stand alone total conversions which overlay the Freespace 2 game engine with 3D models and vessel characteristics borrowed from other science fiction universes. The Babylon 5 total conversion is one application of the Freespace 2 open source work done. A popular science fiction series in the 1990’s, when compared to its primary TV rival, Star Trek, Babylon 5 was heavily combat oriented and included numerous small fighter sized craft as an essential component of the inventories of the various species in the Babylon 5 universe. 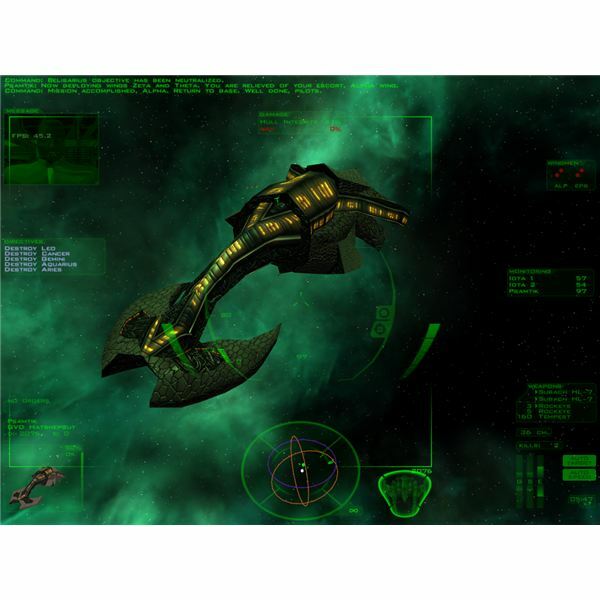 Freespace 2’s focus on space flight sim combat operations made it an ideal platform for modeling the Babylon 5 universe. Other notable Freespace 2 open source conversions include a Battlestar Galactica conversion, a Star Trek conversion, Stargate, and naturally Star Wars conversions. The power of the Freespace 2 core engine is aptly demonstrated by its ability to be altered into similar yet graphically disctinct forms. The replayability and ubiquity (rivaling Sins of a Solar Empire in modability) of Freespace 2 has been all but assured by its availability for download, the FRED2 Mission editor, and the total conversions that have proliferated as a result of the Freespace 2 source code release.